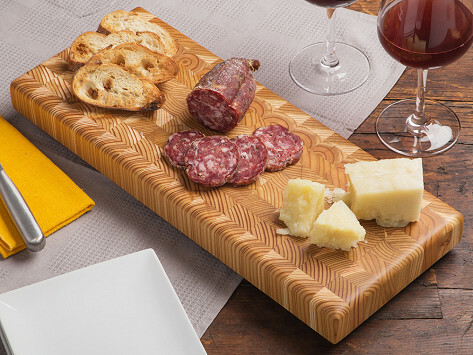 The larchwood cutting board is simply beautiful! It also is easy to clear and protect. 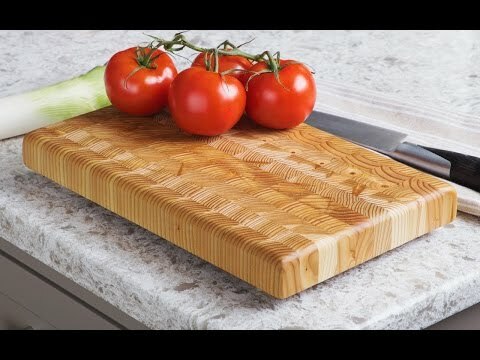 Using the end cuts (that make the interesting pattern) means it is heals the cuts you make in the surface of the wood, prolonging its usefulness. I purchased this one as a gift because I enjoy mine so much!